The Miami Art Museum (MAM) traces its roots to the Center for Fine Arts. Constructed in 1984, the Center for Fine Arts attempted to showcase traveling exhibitions of fine art from all over the world. In 1996, under a new mandate from Miamians, the Center for Fine Arts was renamed the Miami Art Museum. Unlike the Center for Fine Arts, the Miami Art Museum would house permanent collections rather than traveling exhibitions. Miami is a cultural mecca at the crossroads of the Americas, combining new industrialization with the traditions of Latin America. 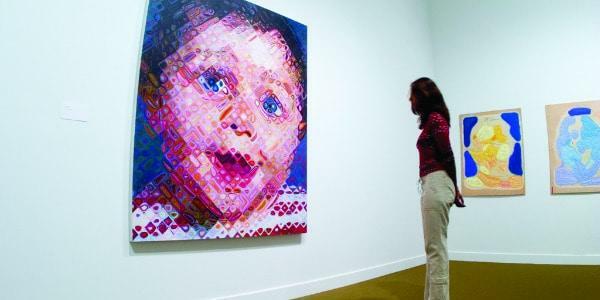 As such, the Miami Art Museum houses collections of art that concentrates exclusively on 20th and 21st century art from the Western Hemisphere. The collection of the Miami Art Museum has grown steadily from its inception, increasing from 300 to over 500 pieces of work over the past decade. The museum’s Dream Collection has been part of the MAM’s highlights since it was created in the first days of the museum. The Dream Collection features works by famous local artists including Robert Rauschenberg, Helen Frankenthaler, James Rosenquist,, Louise Nevelson, and Gene Davis to name a few. Many of the Miami Art Museum’s collections are parts of gifts from generous benefactors and private collectors. However, the museum also acquires pieces bought by funds gathered from charity events and museum revenue. This has allowed the museum to choose specific works to add to the collections which reflect the character and flavor of Southern Florida and Latin America. The Miami Art Museum will soon relocate to a new facility in downtown Miami that will offer over 125,000 square feet of exhibition space, allowing more patrons to view and enjoy the art in the museum’s ever growing collection. The Miami Art Museum is located in downtown Miami at the Cultural Center Plaza. The museum is closed on Monday but is open on Tuesday through Friday from 10 am to 5 pm and on weekends from 12 pm to 5 pm. The museum is closed for Thanksgiving and Christmas days. Admission is $8 for adults and $4 for senior citizens. Children under 12 and students with valid school IDs are admitted free of charge.